Manila, Philippines - In a Twitter post of Dong Nguyen, the creator of the worldwide hit Flappy Bird announced that the viral game will be 'taken down' today, February 10, 2014 (Manila Time). The developer said he cannot take this anymore referring to the amount of attention he is receiving now. He clarified that this action is not related legal issues as he tweeted: "It is not anything related to legal issues. I just cannot keep it anymore." " I also don't sell 'Flappy Bird', please don't ask. And I still make games. ", Nguyen added. The game, which involves steering a bird between green pipes, has become widely popular over the past weeks. Flappy Bird has reportedly been earning an average of $50,000 a day from app advertisements. In the latest statistics from Google Play, Flappy Bird has been downloaded up to 50 million times. 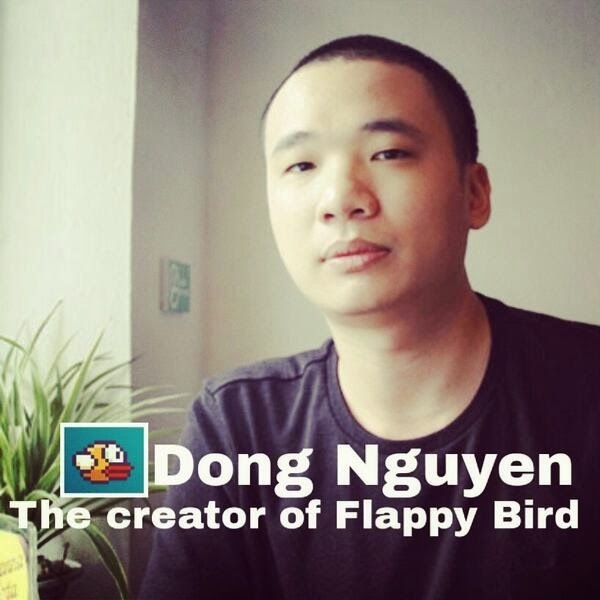 As Flappy Bird is for extinction on Android and IOS, netizens make an appeal to Nguyen not to remove the game from online stores. A petition has been filed on change.org website and says: "We loved the game, and the fact that Dong Nguyen has decided to remove it from the App Stores is outrageous. We understand your reasoning, but you have hundreds of thousands of people who enjoyed your game. Taking it away from your loyal fans should be a crime." "If you would bring it back, the Flappy Bird community should be respectful enough to provide you the privacy you request. We will keep you out of headlines, news stories, media. You can have your normal life as a game developer back. ", the petitioner added. Meanwhile, a tweet from Flappy Bird fan stated: "If you think #Flappy bird is ruining your life, so shut up and just stop playing this game. Don't blame @dongnguyen for your addiction."